Learn how to be a pop star with the all new Bella Dancerella Popstar. 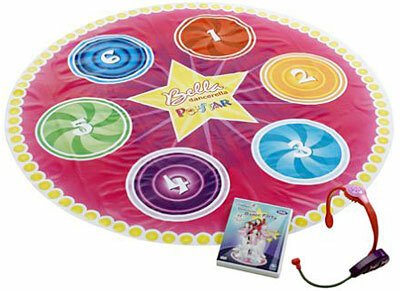 The Popstar Studio includes a 30-minute video with all new original Bella Songs, the Popstar Dance Mat with easy to follow steps, and a real working microphone headset. Master cool dance moves and grooves and sing along to hip songs and styling dances.